Affordable housing is an important issue in New York City. On a daily basis, residents face soaring rent costs and are finding themselves without an affordable place to live. For more information concerning my work and views on affordable housing issues, please contact me. 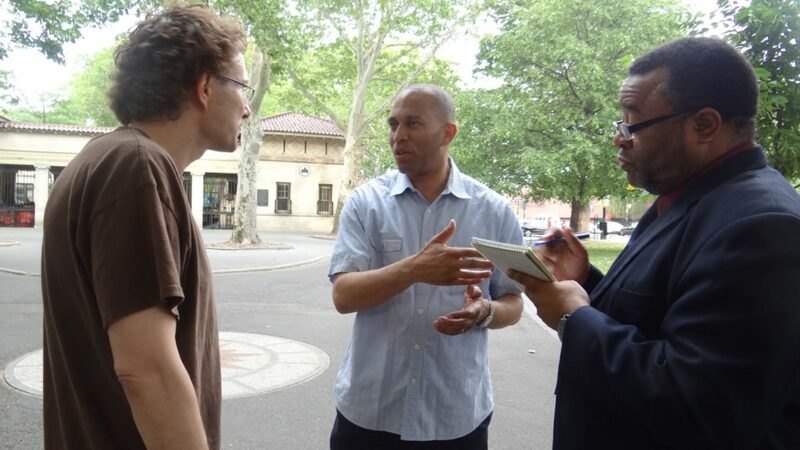 Congressman Jeffries discusses P.J. 's Act, a bill named after P.J. Avitto, the Brooklynite who was tragically killed in an elevator that lacked the proper safety equipment. The bill is designed to boost security-related funding for public housing organizations. He also addresses the NYPD's inept broken windows policing policy. Join us to learn more information about filing flood damage and loss claims and how to seek reimbursement. The office of Rep. Jeffries will be joined by representatives from the NYC Comptroller's Office and the NYS Dept. of Financial Services to answer questions on how to file the water damage/ loss claim reimbursement forms, provide information on timelines, procedures and flood insurance rights. For more information and to R.S.V.P, please call (718) 373 - 0033. Come join me at our Town Hall Meeting in Coney Island. This is your opportunity to learn about steps made in Sandy recovery and resiliency. Also, receive the most recent updates on sewer infrastructure in the neighborhood.